Well, as we head for the final stretch of 2009, everyone is speculating on the state of our market and wondering if the worst is over. Sales volume and activity has increased over the last quarter and absorption of the available supply has gained some ground. This can be attributed to the tax credit incentive that has been in place and in my mind does not signal any significant rebound. 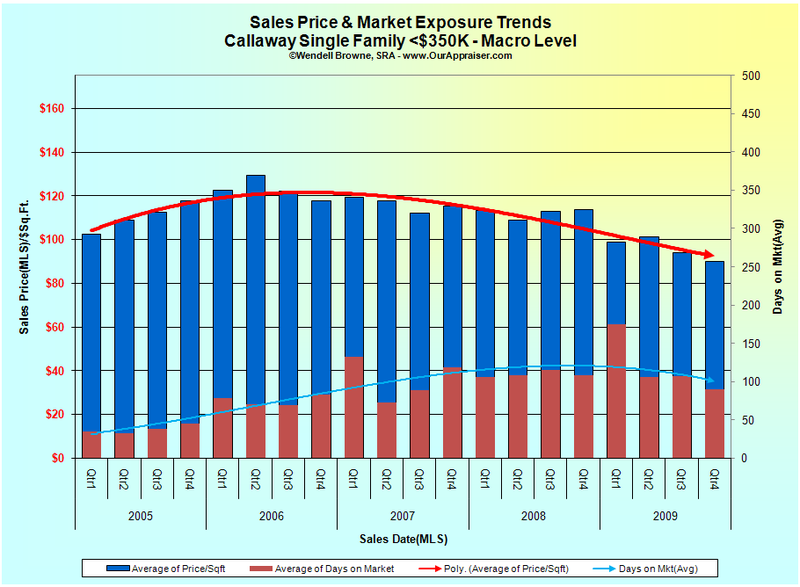 The chart below reflects sales price and exposure trends within the Callaway market sector of Bay County. This would include the communities of Parker and Springfield.